One of the brightest stars of the Dastangoi universe, Ankit Chadha passes away in an accident on 9th May. His last rites will be performed today, 11th May at the Lodhi road crematorium from 9 am onwards. Ankit Chadha, known for weaving research-based narratives and performances in the Dastangoi form of Urdu storytelling, died Wednesday night near Pune. According to the police, the incident took place a little after 5 pm at Uksan lake near Kamshet, around 60 kilometres from Pune. We are deeply saddened by the tragic death of Ankit Chadha, the storyteller who played a critical role in reviving the form of dastangoi. We lost Ankit in a freak accident on 9 May. He was 30. Ankit was known for his research-based narratives, performing both in India and abroad on a wide range of topics- from Kabir and Majaaz to pastoralism and stories for children. He also authored two books. Ankit had just returned from a US tour, which included performances at Harvard and Yale Universities. His most recent work was “Prarthanaa”, a narrative and prayer exploring M.K. Gandhi‘s ideas around death. He performed it with musician Vedanth Bharadwaj, and had recently performed at the Birla Gardens in Juhu where Gandhiji conducted a prayer ceremony himself, many years ago. Ankit created the form of the musical dastan, first with a celebration of Amir Khusro‘s life called Khusro-ke-Rang – with Bindhumalini, Vedanth Bharadwaj and Ajay TIpaniya, and later a dastan on Rahim. Ankit would often burst into song in the middle of his non-music dastans too. He collaborated with a range of artists, learning the craft from Mahmood Farooqi, and working with several dastans, musicians and poets. Another popular dastan, Dastan-e-Awargi, on Majaaz, was performed with Himanshu Bajpai. Ankit was the author of “My Gandhi Story”, a book for children in collaboration with Nina Sabnani, and the author of “Amir Khusro- The Man in Riddles”. He was the recipient of the Sabarmati fellowship in 2017, bringing to fruition years of study on Gandhi and his ideologies. While dastangoi is typically performed by two people, Ankit often performed alone. Lean, and with a schoolboyish twinkle, he filled up the stage with his personality and presence when he performed. He was a magical conductor, pulling the strings of hearts through the past, present and future. He had a special connect with children, connecting with them through dastangois on animals and Ramayana, but also making them connect in his other works, throwing in moments of inane laughter in the most serious of topics. He knew his audience keenly, young or old, urban or rural, drawing crowds in both the Ivy Leagues and the ghats of Varanasi. He was political, magical and empathetic. He was introspective and daring. And most often, he was all of that and more in every single work of his, making his audience alternate between laughter and tears, and pushing them to question. Chadha persued graduation in History from the University of Delhi’s Hindu College. He was the president of its street theatre society, Ibtida. Later he had joined Mahmood Farooqui’s Dastangoi workshop. He learnt the art form and gained fame in theatre and cultural structures. “He was incredibly talented and a beautiful person and was taking Dastangoi to new heights. It is a devastating loss, after all, I trained him for six years,” Farooqui was quoted as saying. 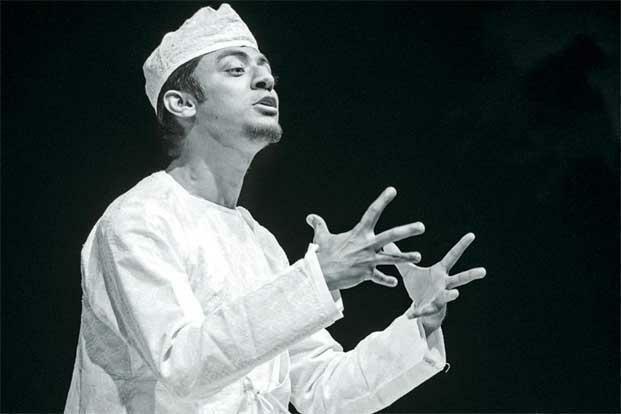 The 30-year-old had the mastery over Dastangoi form of Urdu storytelling and was prominet face in the national capital. His twitter profile says, “Dastangoi, Storyteller, Sufi History ChildLit Urdu Folk Oral Narrative, Khusrau Kabir Gandhi.” He also used to run a YouTube channel. He used to perform dastans on historical personalities like Kabir, Rahim, Dara Shikoh and Majaaz, and Amir Khusrau. He has spoken on and performed Dastangoi all over the country and globally, including at Harvard, Yale and Toronto Universities. Chadha also worked with non-profit organisations and told tales on sustainability, technology and hunger.